David has specialised in Management Consulting and Corporate Finance since 1984. He was a Senior Manager at KPMG prior to becoming a Director of his own consulting business (Armstrong Muller Consulting) in 1995. The aim of Armstrong Muller Consulting is to retain a small high quality team of consultants that are well regarded in their area of specialty to ensure professional, appropriate, ethical and timely services for all their clients. 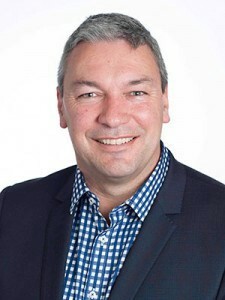 David’s work in recent years has been relatively evenly split between working with the mainstream corporate sector and working on economic development initiatives with Indigenous entities. He brings knowledge from both sectors together to perovide robust commercial and economic development outcomes. Joint venture and network development. David has extensive cross-industry experience in the specialist service areas noted above and brings the knowledge of many years of practical experience to assist clients in planning their business future. He is highly experienced in stakeholder consultation using proven processes to ensure sound outcomes. His work with Fyfe Engineering (Fyfe) illustrates the nature and cross-section of work undertaken with clients in the Corporate Sector. David works closely with the Board, Managing Director and Senior Management and has undertaken a high level of consultation across the Group. He is shown as a member of the Fyfe Advisory Group. Fyfe has been an anchor client of David’s since he helped Fyfe prepare their initial business plan in 2002 when the business had some 50 staff and turnover in the order of $6 million per annum. Fyfe has enjoyed considerable growth in the last 10 years, to the extent that it now has Operations in South Australia, Queensland, Northern Territory and Western Australia; Turnover in excess of $75 million and over 500 employees. David has worked with Indigenous entities since 1995. Initially he was involved in consultancy work related to the Indigenous Arts industry. However, work undertaken since 1999 has had a much broader focus. David has worked on a number of the projects in regional or remote areas of the country and in most instances David has visited the subject community or organisation and has been responsible for all aspects of the work carried out.